Trump’s triumph let humanity dodge a bullet – possible nuclear war on Russia had Hillary defeated him. He saved America from an emotionally unstable aspirant’s ascension to power – evident from her electoral loss behavior. She was too emotionally distraught, enraged, and out-of-control to make customary concession comments, congratulating her opponent on his electoral triumph. Campaign chairman John Podesta appeared in her place. She showed up the next day. The episode provided more evidence of her unfitness to serve. If elected, how would she handle crises all presidents face? Would she erupt in a psychotic rage – perhaps similar fashion any time things didn’t go her way? Most crucially, would she squeeze the nuclear trigger to prove her machismo, showing she’s as tough as any man, letting Russia know who’s boss? “Thank goodness for the rest of us, she isn’t going to be the actual leader of our nation. This kind of behavior shows that Trump was most definitely the correct choice for President” – between two unacceptable ones, the most widely reviled White House aspirants in US history. During the 1973 Watergate hearings, Hillary, aged 27 at the time, was a staffer for House Judiciary Committee chief counsel Jerry Zeifman. Early in her professional career as a young lawyer, she showed appalling disdain for rule of law principles. 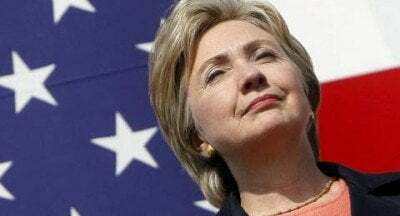 It showed by her actions as first lady, US senator, secretary of state and two-time presidential aspirant. Thankfully, she’s politically dead – the enormous threat of her leadership had she defeated Trump now past. At last we can exhale while staying vigilant, holding him accountable for harmful domestic and foreign policies on his watch.